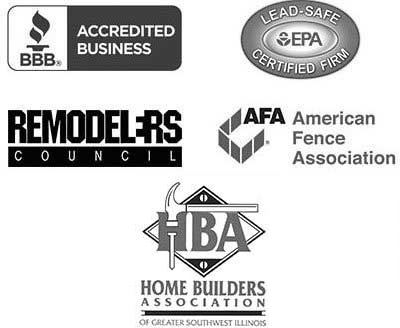 Chesley Fence & Deck is the premier installer of patio decks in the Belleville, Illinois area. Since 1967, we have been installing high-performance decking made of premium, durable materials in backyards all over the area. What’s more, all our installers must adhere to our strict installation standards to ensure that your deck is installed just right the first time and according to best practices. Best of all, for added peace of mind, our Tamko Envision® PVC coated composite decking is backed by a 20-year manufacturer warranty that covers staining, fading, and discoloration. If you would like to learn more about our patio decks that can be custom designed in any size or configuration to meet your exacting requirements, contact Chesley Fence & Deck today. 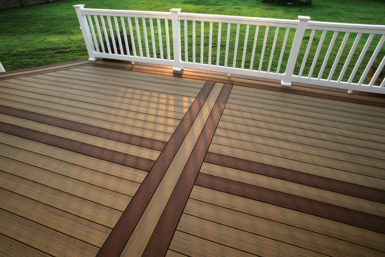 Our highly trained and experienced installers would be happy to build a deck in your Belleville, IL backyard.